As a construction material, wood is not as popular in Pakistan as other building materials are like brick or concrete. In large cities and suburbs where majority of buildings are made of brick and mortar, wood has begun to gain popularity as a building material for roofs and walls. Though wooden flooring has become widely popular in recent years, many people are not sure whether they should use wood for walls and ceilings or not. Hardwood is used for making cupboards, desks, wooden panels, door-frames and window fittings. It is extremely durable and resistant to rot, heat, pressure and can withstand changes in weather. Therefore, it can be used for the construction of floors, walls and ceilings as well. Types of hardwood commonly used in Pakistan are Deodar, walnut tree wood and teak. Deodar is one of the most commonly used woods for constructional purposes in Pakistan. The wood is derived from the Cedrus deodara tree that is native to the Northern region of Pakistan. It is durable, strong and most importantly rot-resistant. Its grains are fine and closely knitted due to which it can withstand high polishing. As a construction material, most Architects in Pakistan preferably select Deodar. Walnut tree wood, as the name suggests, is derived from the walnut tree. In Pakistan, this tree natively grows in the Northern areas (Mainly Swat and Khyber Pakhtunkhwa). The walnut wood has different shades but mostly it comes in dark red and pinkish color. Though, mostly walnut wood is used in the making of furniture but its resistivity to moisture makes it an ideal material for flooring as well. However, recently there has been an increase in the trend of walnut wood walls. Teak is a strong wood that is highly durable. Teak has a beautiful oriental look that makes it an ideal wood for cabinets and furniture. This wood is resistant towards moisture so it is mostly used in the making of window frames. Architects in Lahore prefer using teak over other woods for window frames as it can withstand moisture during monsoon season. Softwood is lighter and more flexible than the hardwood but is more or less similar to it in strength. It is derived from evergreen trees and can be used for the construction of wooden floors, walls, desks, furniture, door and wooden panels. However, softwood might not be an ideal choice for walls and ceilings in urban houses. Softwood is mainly used in the making of doors, door panels, window frames and furniture. 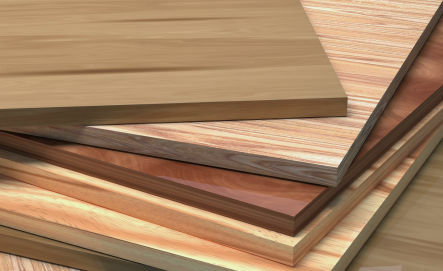 Some types of softwood can also be used as a flooring material. Commonly used softwoods in Pakistan are Pine (chir pine), fir and Hemlock (shekran). Chir pine is a very popular type of wood taken from pinus roxburghii, a tree native to Northern region of Pakistan. In areas to which this wood is native, it can be used for constructing houses, but for large cities and urban areas, it is not suitable for that purpose. It is mostly used in the making of door panels and certain type of furniture. The most commonly used types of fir in Pakistan are silver fir and blue fir. It is used in window and door panels and furniture. Hemlock, commonly known as shekran in Pakistan, is used for the making of doors and planks. It is not very resistant to rot hence; it is not used in the making of wooden floors. Although wood might be very popular as a building material for roofs, walls and ceilings in Pakistan, it is a common material used for flooring and making of doors, panels and window fittings. Although it might not be as strong as concrete or brick but it is strong and durable enough to be used as a building material. Hardwood such as deodar and walnut tree wood serve as an excellent material for walls and ceilings. Softwood is a more flexible type of wood that can be used for making floors but not suitable for making walls and ceilings. Softwood such as pine and fir is more suited for the making if doors and panels.